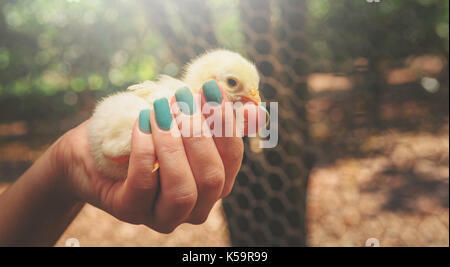 Woman's hand holding a yellow chick. 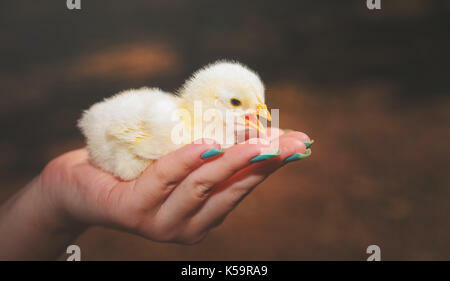 Young chickens baby with soft yellow feathers on a females hand. 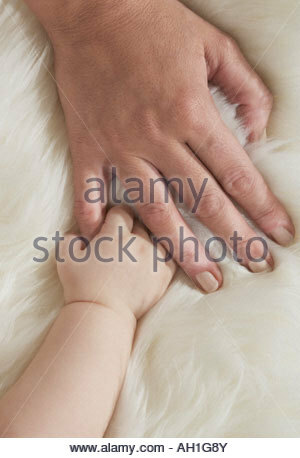 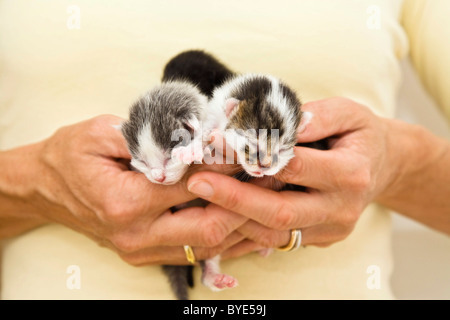 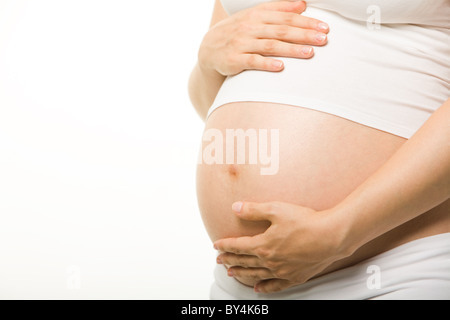 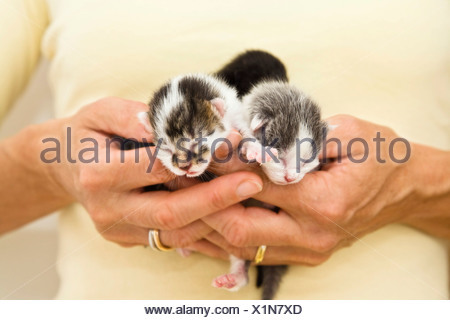 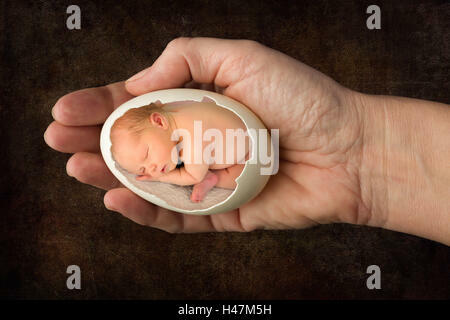 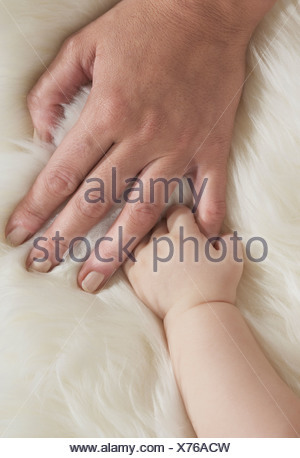 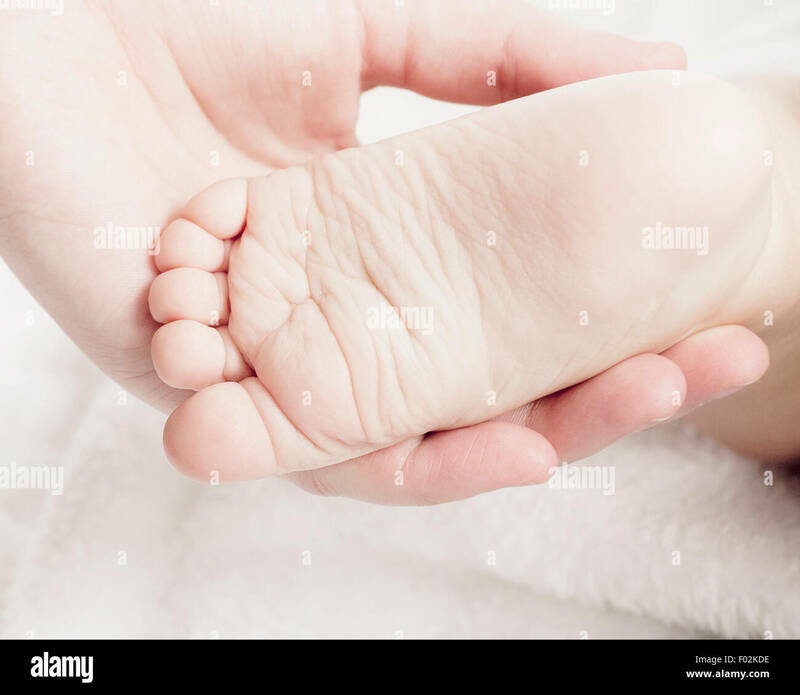 Horizontal studio close up of a newborn baby's hand holding onto a woman's little finger against a black background.